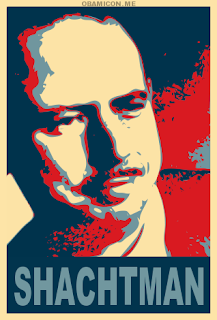 The Student League for Industrial Democracy (SLID) is the student section of the League for Industrial Democracy, which can be traced to the Intercollegiate Socialist Society, founded in 1905 by CCNY graduate and popular writer/activist Upton Sinclair. 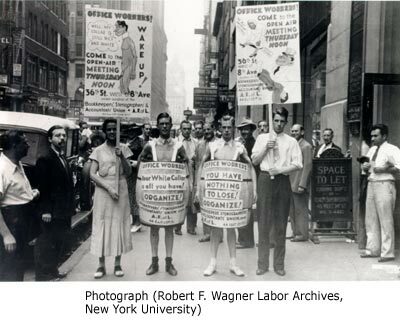 Here, SLID members demonstrate to encourage office workers to support their union during the summer of 1935 in NYC’s garment district. The Young People’s Socialist League (YPSL) is the youth affiliate of the Socialist Party. Its main rival on campus is the Young Communist League. 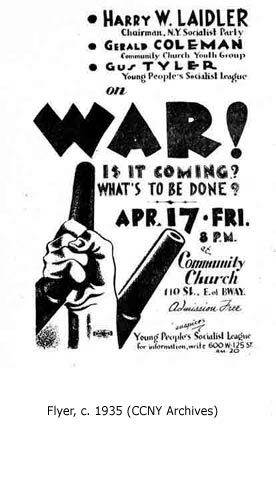 This flyer advertises an anti-war meeting in Harlem. There is also a brief mention and some nice engravings of the famous “alcoves” at CCNY. Alcove no.1 was the anti-Stalinist alcove, home to Irving Kristol, Nathan Glazer, Daniel Bell and Irving Howe. The New Deal Network is a web of US educational sites on the 1930s. Among its sections is one on student activism in the period. SLID features again here, with, for example, twenty-one autobiographical essays from the 1935 Student League for Industrial Democracy (SLID) Summer Leadership Institute, from the Joseph P. Lash Papers at the Franklin D. Roosevelt Libary. Arguing the World; Apt.11D on Alcove no.1; Irving Kristol’s alcove memories; orgtheory on Arguing the World; Robert Schrank’s alcove memories. I have fallen behind on this task, not having done it for about 6 weeks. Below the fold are basically my personal choices from Entdinglichung’s Sozialistika series. This week, as a response to a visit from Julie Herrara, I am delighted to add the Labadie Collection to my blogroll, and to feature it here. Below the fold, much more, including Maurice Brinton, the 1946 RAF mutiny, and much more. Browse the whole series here. The Joseph A. Labadie Collection, as its website describes it, is the oldest research collection of radical history in the United States, documenting a wide variety of international social protest movements of the nineteenth and twentieth centuries. It is named for anarchist and labor organizer Joseph Antoine Labadie (1850-1933). The website of the Colletion has a number of on-line exhibitions: Jo Labadie and His Gift to Michigan: A Legacy for the Masses, Radical Responses to the Great Depression, Joseph Ishill and the Authors and Artists of the Oriole Press, The Soviet Invasion of Czechoslovakia, August 1968, Anarchist Images: Posters from the Labadie Collection. 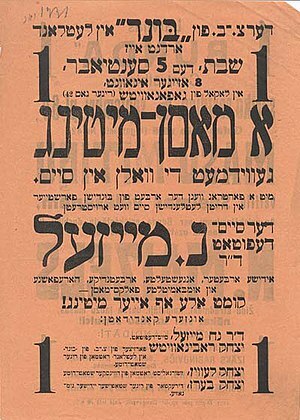 Among those I’ve featured here are the poster for a CNT speaker in New York, a Yiddish poster advertising Rudolf Rocker speaking about Spain, material relating to Norman Thomas and his Socialist Party, a magazine of the Marxist Workers League, and a novel by James Farrell. Entdinglichung has another update, including Julian Gorkin in Spanish, Pietro Secchia on Women anti-fascist partisans in Italy, Dwight MacDonald on fascism, texts from Socialist Appeal (the Trotskyist entrists in the Socialist Party of America – including some by Albert Goldman and Ernest Erber), and Martov in French. The Federacion Anarquista Uruguaya (FAU) : Crisis, Armed Struggle and Dictatorship, 1967-1985 . Meltzer, Albert, Alexandre Skirda and Ossip Tsebry. Memories of a Makhnovist Partisan . Téllez Solà, Antonio and Francesc Torres. The anarchist resistance to Franco . And, from the comments thread, a link to an mp3 of Max debating Norman Thomas from the 1950s.